Facebook, Instagram, Pinterest, Tumblr and Snapchat are littered with the younger generations chronicling every moment, meal or purchase with selfies, snapshots, videos and messages. In a blink of an eye, they can become insta-famous, insta-shamed, insta-blamed or be on the receiving end of the dreaded un-follow button! "OMG, I'm losing followers!" They are active and focused, but "focused on what?" That's the question you need to ask. They are busily and, in many cases strategically, building their own brand. And if CMOs, CEOs or anyone with something to market can GET that their No. 1 Brand is themselves, and mine that accordingly, then these self-branding youth will help businesses build their brands. Millennials and Generation Z measure their brand value as the number of likes they get, the number of re-tweets they have, the number of followers they collect or the number of comments posted. They are watching vigilantly, they are counting and monitoring their performance; the number of likes they have is equally as important as who liked their posts or updates. This system has given shareholder value an entirely new definition. It is transparent and powerful, for feedback is instant--the way they like it--and often harsh. Their measure of self -worth is defined by those to whom they connect. It is clear they are the product, and brand building is all consuming, emotionally and intellectually. At such a tender age, they care greatly about it, as should you from a business standpoint. Successful marketing focuses on their No. 1 brand, and whatever you do to help build their brand is meaningful and acknowledged--a point driven home in the groundbreaking book "Marketing to Millennials." The younger generations use the platforms the same way you do: strategically. Their goal is to get their message out and stay relevant. They understand what their peers value, and craft inputs to tap into those value systems. And they change them quickly if rebuffed. For Facebook alone, users 18-29 have a median of 300 friends, reported Pew Research earlier this year--also noting that the younger the user, the larger their network and 73 percent or all Americans 12-17 are also on the platform. And as of this fall, the average user spends 21 minutes a day on the site, or 651 minutes a month. The numbers tell us users are attempting to stay top of mind and exchange valued content. They are also watching their competition by looking at what others are doing, saying and liking. They specialize in surprising, delighting and entertaining their base by continually adding humor and excitement with fun photos and videos. They are brand building, and it is hugely important to them. Successful business brands should know this and craft strategies to drive the "me" brand--which, by so doing, will help businesses drive their own brands. Beloved brands like Nike, Apple and Coke understand this; for example, in Nike's 2014 soccer "Winner Stays" campaign, the company played to our youthful brand-builders' entrepreneurial spirit. Nike allowed them to dream and gave them content that made them look like winners. Undeniably, the No. 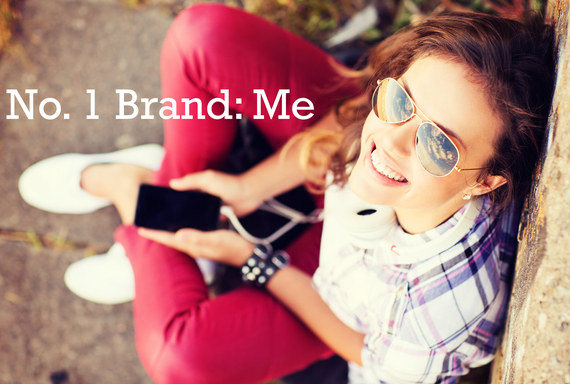 1 brand is "me." If savvy businesses market to them correctly and focus on them collectively, the youth market will give them the opportunity to make significant gains. Mark Zuckerberg said, "A trusted referral is the Holy Grail of advertising," making the individual who provides them the most valuable marketing target. This is where these cohorts power rests. In part two of this blog, I will suggest ways to help you master this strategy.